Marina Animal Hospital is located in a beautiful area in the city of Oxnard approximately one and half miles from the ocean. It's equipped with the most advanced equipment and a state of the art computer system. It's handicapped equipped with easy access from the street. 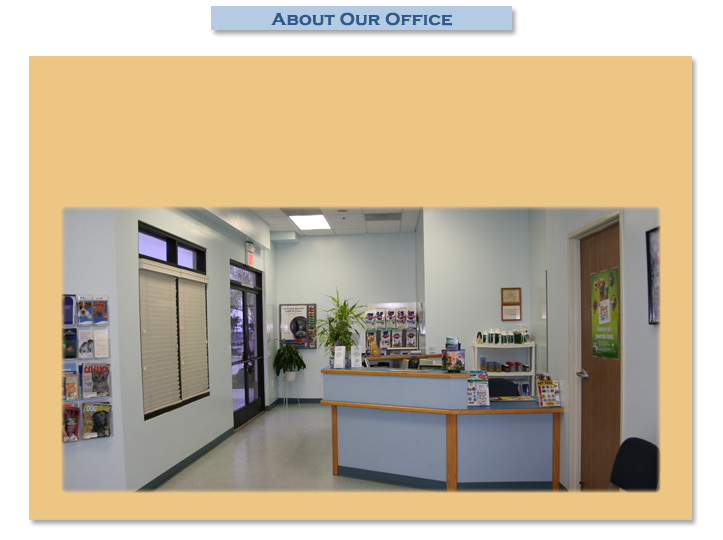 The clinic is located in Airport Marina Center at the corner of Victoria and 5th Street. It's close to many restaurants and shopping areas. Dr. Fahmy has been practicing in Oxnard since 1995. The clinic was established over 3 years ago. Our staff is compassionate, knowledgeable, well rained, nice and friendly.